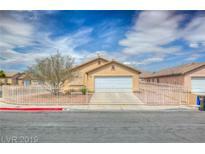 Below you can view all the homes for sale in the Aspen Hills subdivision located in North Las Vegas Nevada. Listings in Aspen Hills are updated daily from data we receive from the Las Vegas multiple listing service. To learn more about any of these homes or to receive custom notifications when a new property is listed for sale in Aspen Hills, give us a call at 702-323-5963. Upgraded features include fresh interior paint and new carpet in select rooms. MLS#2086907. Opendoor Brokerage LLC. Home is fully equipped with solar screens on the outside of the home to keep you cool in the summer and your energy bills low. Welcome Home! MLS#2085286. Signature Real Estate Group. 4 Bedrooms And Spacious Backyard. Must See This Property!! ! 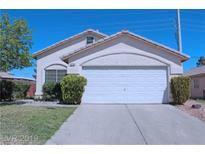 MLS#2083653. Source Realty. Have Your Agent Show You This Home First Because It Will Be Sold In A Flash! MLS#2083459. Monticello Realty LLC. 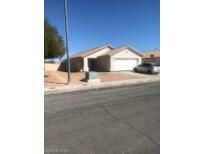 This home has been maintained well and is turnkey MLS#2078871. Signature Real Estate Group. Move in ready! Agent/Buyer to confirm schools MLS#2077823. Keller Williams Market Place I. **beautiful Single Story, Three Bedroom Home**large Backyard**spacious Living Room And Open Kitchen With Breakfast Counter*solid Countertops*pantry*lots Of Cabinets*refrigerator, Washer And Dryer Included*master Bedroom With Full Bath And Double Sinks*2 Car Garage*convenient To Shopping, Schools, Public Transportation**priced To Sell Fast** MLS#2063462. Nevada Realty Connection. Buyer Will Save Alot Of Money On Monthly Bills. MLS#2063020. Choice One Properties & Manage. All new American made cabinets, plumbing & electrical fixtures and MORE!!! GET IT WHILE ITS HOT! MLS#2060712. First Full Service Realty.